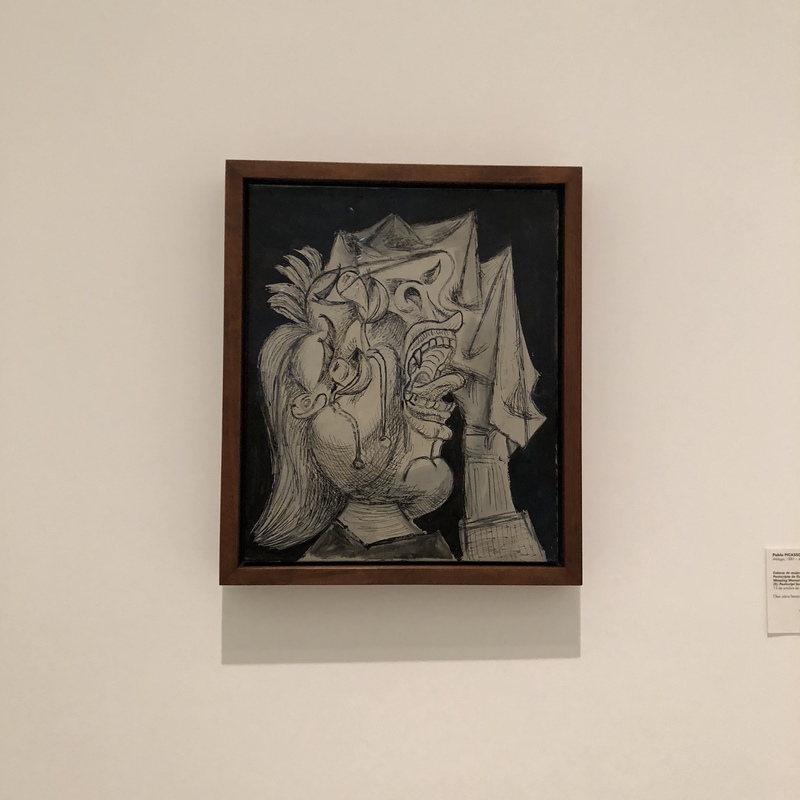 On my most recent visit, I spent a long weekend in Madrid visiting my best friend, and amidst catching up and dancing, we always squeezed in a visit to Desencaja, a wonderful find in the Latin American district, which is located slightly away from the centre, but still within an easy metro ride. Dining in Madrid is always fun, but this was definitely a venture away from tapas, and towards surprise and delight. 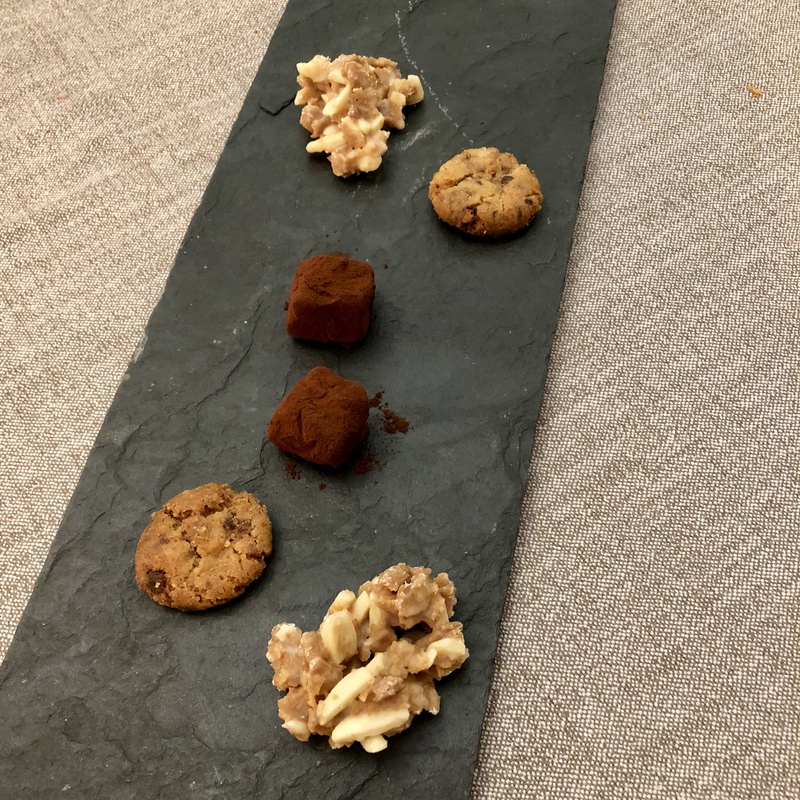 Desencaja offers two tasting menus – viaje a la luna and viaje a la tierra. We opted to visit the moon, and apart from hints like ‘appetiser’ or ‘fish’, every dish was a surprise, which is my favourite kind of menu. (NB: This offering changes frequently, so do check their website to see what’s on). As to the ambience, a slight hipster vibe adorned the walls, with cork-esque material all around. A little odd, but it made for a less formal atmosphere, which put us at ease immediately. Ivan Saez has definitely achieved something very special here. We started off with an homage to the restaurant’s name – a wooden box that we were instructed to open. I nervously took off the lid and was recoiled slightly when the sides fell away to reveal a meaty broth (thank goodness it wasn’t a jack in the box!) The broth itself was hearty yet light (I am not sure how that is possible, but they did it), and a wonderful way to start the meal. Desencaja offers wine pairings with its tasting menu, but we decided to simply have wine by the glass, as the prices are incredibly reasonable (around €4 per glass). The waiters matched their recommendations based on the dishes, and their choices were spot on for both red and white. 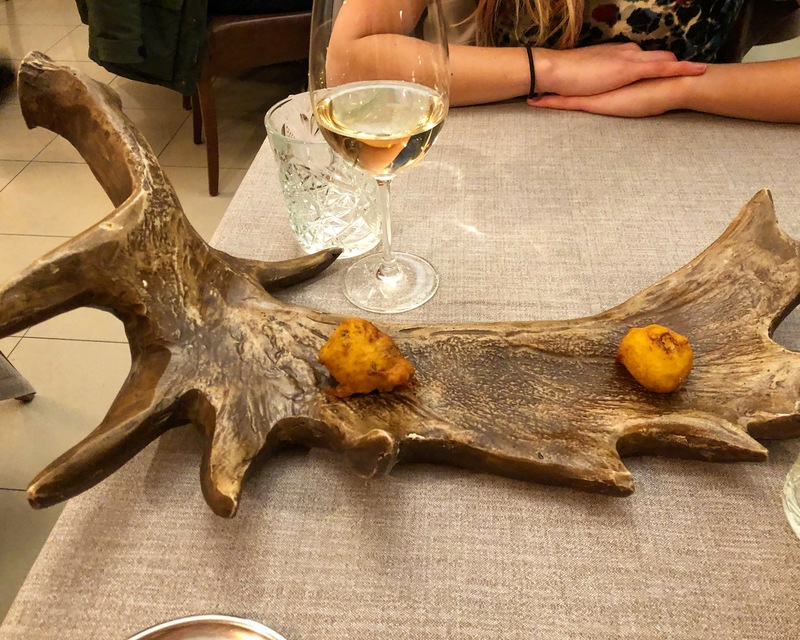 Our journey to the moon involved six stops, and the next one was a little bite of heaven (if heaven were served on antlers!). Crunchy on the outside and oozing from the inside, I’m not sure what was in these croquetas other than fish, but it didn’t matter. The texture combinations made me salivate, and I couldn’t wait for what was to come next. What came next was a dish that reminded me a little of something we ate at Astrid y Gaston (which is always a good sign!). 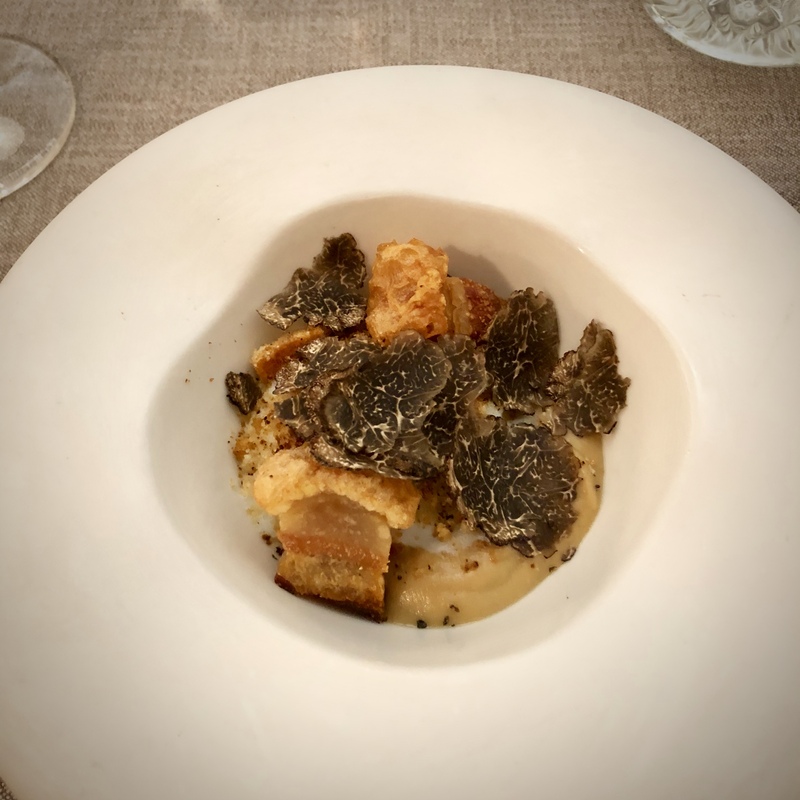 Amidst crunchy pork skin and shaved truffles, a poached egg peered through, waving at us from its bed of mushroom cream, begging to be a part of the mix. Each ingredient in this bowl was strong in its own right, yet they were all equally happy to share the spotlight. 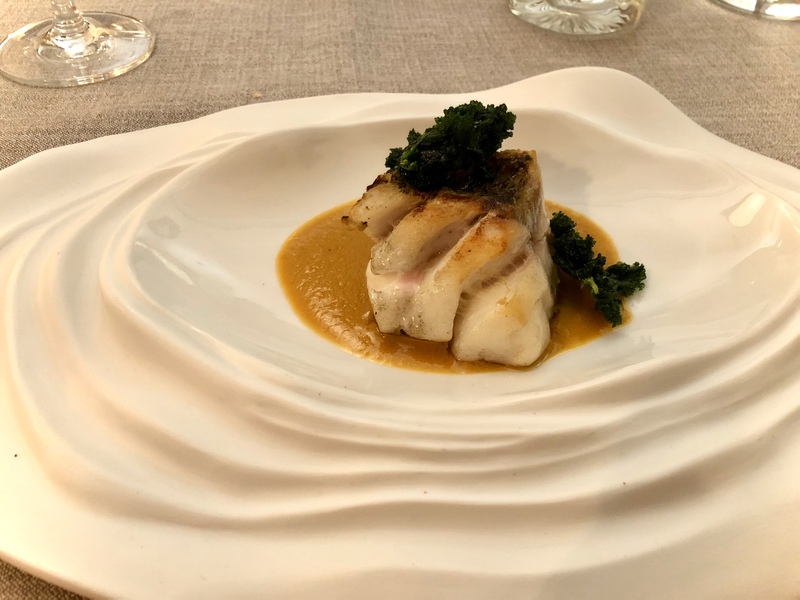 Throughout the meal, I was fascinated by the various crockery (an obsession of mine for the past few years), and it was no different for the fish course. In a bowl that appeared to have been crafted in the spirit of the ocean, a juicy fish fillet sat on a beach of pumpkin cream sauce. Topped with crispy kale leaf that offset the richness of the sauce, this was an absolute winner in my eyes. The meat course was duck, and it was so good that I forgot to photograph it. I do remember the dark, rich sauce it came with, though, and how well it paired with the local red wine. An absolute dream. Our dessert was a combination of a brownie, some cream, ice cream, and crunchy bits. The ‘out of the box’ thinking here was that both the brownie and the paste were made with a secret ingredient: corn. This felt a little unusual, but it all worked on the plate. And finally, there were the petits fours. Often my favourite part of a meal, these certainly didn’t disappoint. A sweet ending to a wonderful evening (my favourites were the crunchy-nutty-chocolatey ones)! Desencaja’s voyage to the moon costs €36 for 6 courses, and with two glasses of wine each we ended up paying €46 per person (including tip). 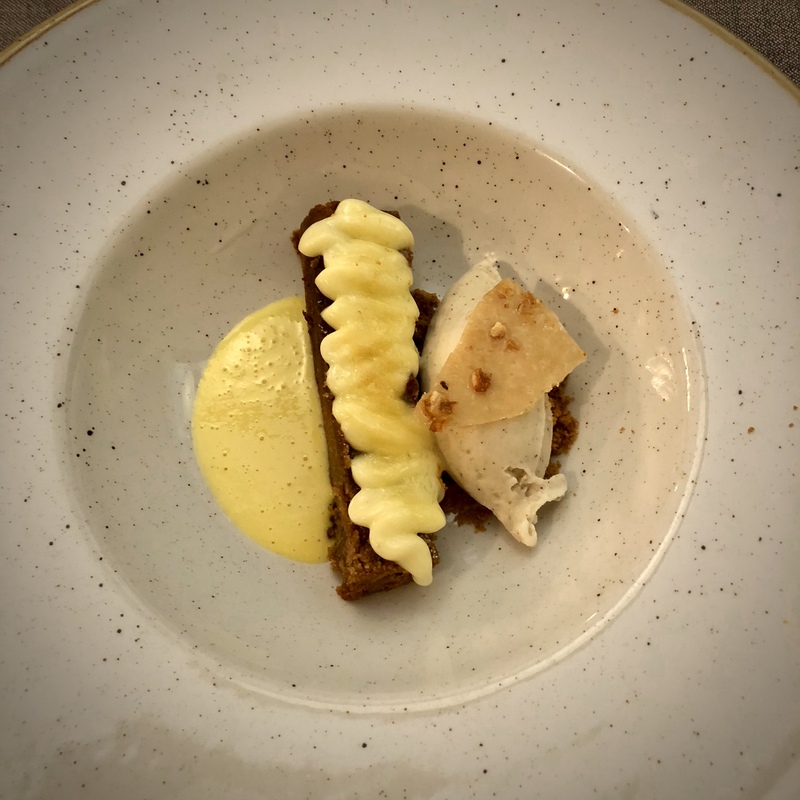 This is incredibly reasonable, considering the inventiveness and quality of the food, and particularly compared to a recent meal I had in Munich at Shane’s Restaurant, where a 6-course meal plus drinks set us back over €100 each (and it wasn’t nearly as impressive)! Desencaja even currently has a 14-course offering for a mere (!) €92. 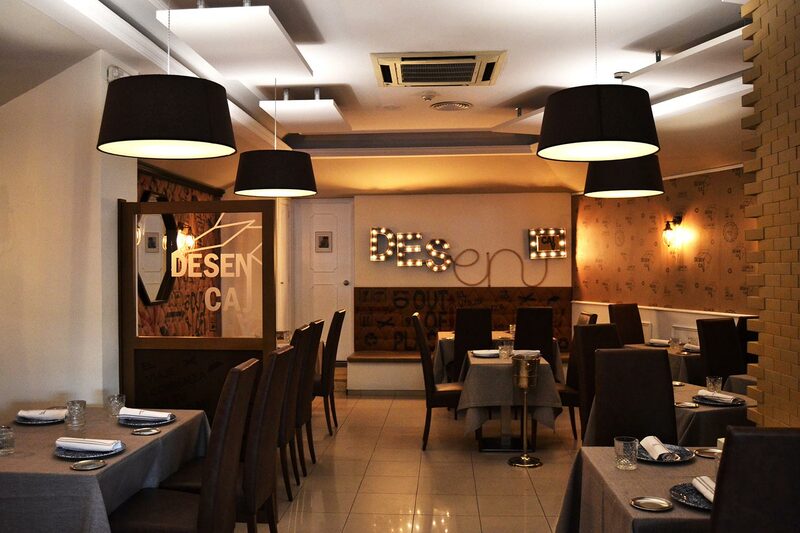 So when you’re in Madrid next, definitely step out of the Gran Via box and spend an evening at Desencaja. It is easy on the wallet and eye – perhaps not the waistline, but I would rather diet for a week just to have those croquetas! Have you been to Madrid before? What are your favourite restaurants?